It is a long journey down into the dark - and back into the depths of history. But it certainly isn't a trip for the claustrophobic. 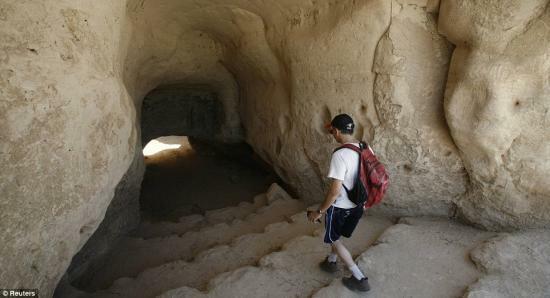 The ancient tunnels of Hirbet Madras near the Sea of Galilee, in Israel, are so tight that they are almost impassable in places. 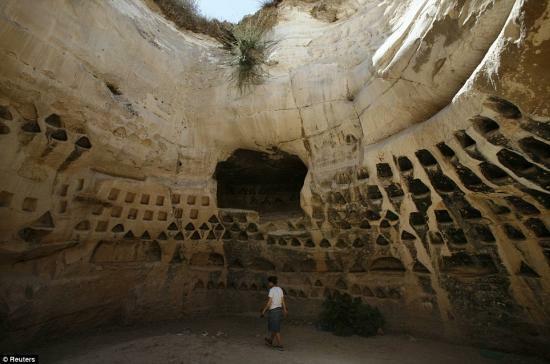 The sprawling underground labyrinth was dug by Jewish rebels fighting the Roman empire. Archaeologists believe some of the maze could date back to the first century BC. It is a fascinating part of history which attracts visitors from across Israel. But it is virtually unknown to foreigners. 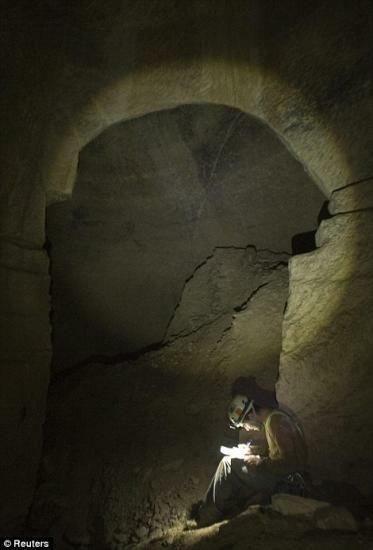 Cavers crawl along with the complex illuminated by the eerie light from a head torch. 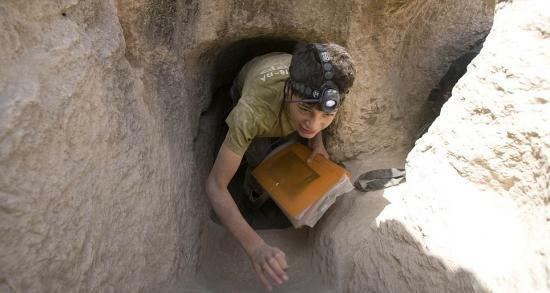 The system was once reached through trap doors in Jewish villages,some of which are now archaeological sites, others have been completely destroyed. Today, they may be no more than an indistinct, shoulder-width opening in the ground or hillside. The intrepid may have to crawl, even slither for a few minutes through a pitch-black burrow too cramped for a fully armed Roman legionary. 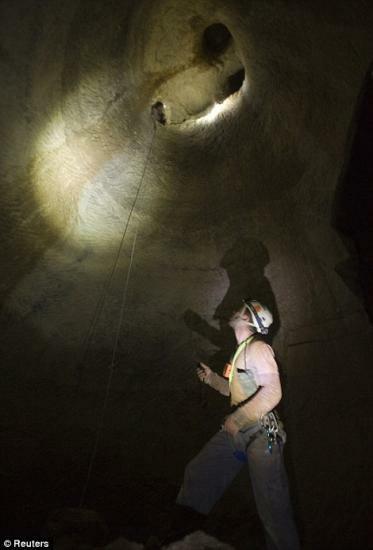 Turns can be so tight cavers may have to back up to a spot where they can flip from head to feet first in order to continue. Along the way are niches which once held oil lamps, and carvings in the rock. There are expansive columbariums, with hundreds of holes in the wall once used to raise pigeons and decorated store rooms.